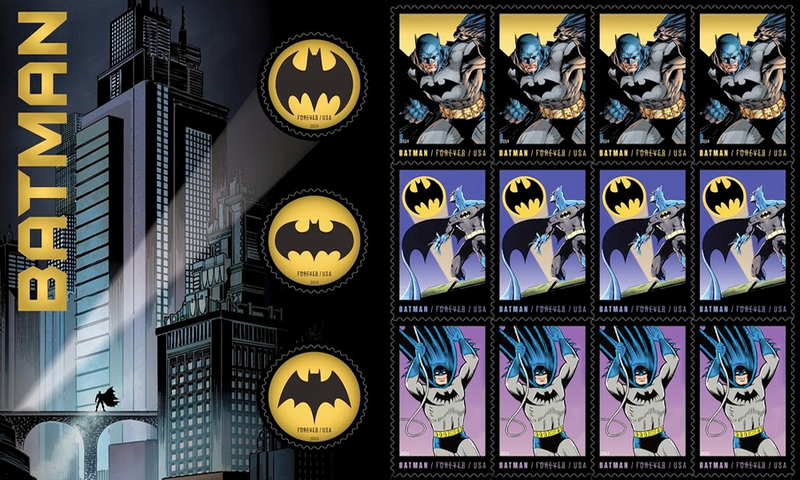 Here's a video showing the "Batman Forever Stamps" at the US Post Office Ceremony that appeared at the recent 2014 New York Comic Con. These stamps are still available at the Post office but they are selling quick. Some people have told me they bought the last ones at their locations so, if you want a set, you better hurry and get yours! Oh yeah, as a kick side note: That's our buddy, Ralph Garman, giving the introduction!